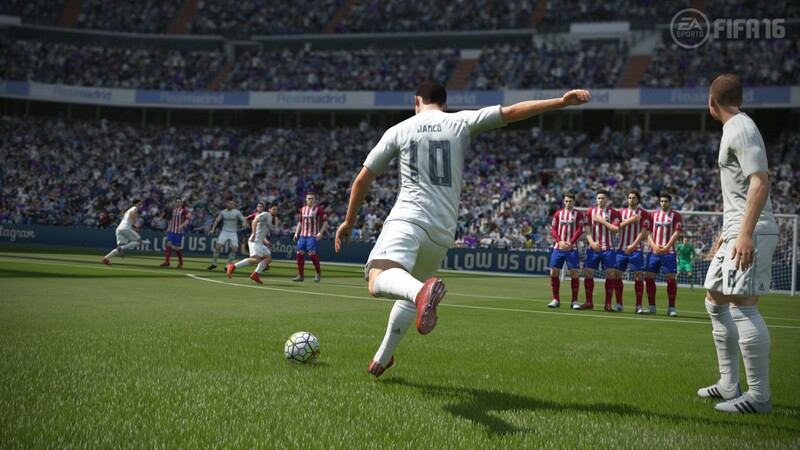 REVIEW - FIFA 16 - Use a Potion! It’s a difficult task reviewing sports games that come out on an annual basis. To those that don’t invest their time in a series, each entry can look the same; my partner saw me playing FIFA 16 and said it looks exactly the same as last year’s FIFA 15. It’s a fair statement to make, and the same can probably be said for most sports games that make their annual appearance – the non-player will often be blind to any changes made. Those who played the previous entry though (and often the one before that… and the one before that…) will notice all the little changes, all the intricacies that have been modified; something that became noticeable from my time with FIFA 16. For the first time in awhile, I felt like I was playing something completely different. This isn’t just a re-hash of last year’s release, but something that I think will certainly divide fans. Lets be honest – no sports game has ever perfectly recreated a sport and I don’t think one ever will. You can never account for every possible scenario, human reaction or synchronicity between teams. Still, FIFA 16 has attempted to improve all aspects of the game in order to provide a more realistic experience than previous entries. Something that was noticeable to me almost immediately was a new focus on build up play. I’ve always been one of those FIFA players whose main attacking threat was the use of constant through balls – that tactic isn’t as reliable anymore with improved defences that can keep up with your best strikers. Now you need to think a little more, pass the ball around and utilise all your players if you’re going to break through your opponents solid backline. Thankfully, passing has been improved with the new ‘pass with purpose’ system; holding the front right bumper allowing you to send fast, precise passes through the tightest of gaps. That being said, it won’t work all the time – it’s all about opportunity and if used at the right time you can tear through an opponents defence; other times your player will lose control and give away possession. The use of build up play isn’t usually how I like to play, but I actually found myself enjoying it; it’s actually satisfying working a move consisting of 30+ passes that results in an outstanding goal. Still though, I don’t see why some of my faster players failed to outrun some of the defenders, with them catching up with you as you try to make some bolting runs from the halfway line on a counter attack. I’m not saying you can’t use pace to score some great goals (I tore some defences apart with Manchester United starlet Memphis Depay); it just won’t happen as often as it did with previous entries. Of course, all the build up play means nothing if you’re not able to score some amazing goals – something FIFA 16 allows you to do with great satisfaction. Shooting feels more accurate this year with players reacting more naturally to the ball; you feel like when you’re able to get into the right position, you are able to shoot the ball exactly where you want to. When I shot for the top right corner the ball went into the top right corner – well, unless one of the improved goalkeepers manages to pull off a great save. Whilst the attacking components of the game have been modified, defending has also seen changes Since FIFA changed the defending mechanics a few years back, I’ve found a huge dependence on the sliding tackle; I’ve never been one for pressing. It’s satisfying for me then than the slide tackle has seen improvements. Gone are the days where a mistimed tackle will give away an unwanted foul or take your defender out of play; your players are now able to slide in with more purpose. If you time it right you’ll make the perfect tackle, if not you won’t find your player sliding across the field aimlessly, but rather recovering quickly and getting back into play. Again, it’s more realistic and offers an extra dynamic to the slide tackle. Of course, you won’t get away with every mistimed tackle – you can still buckle an opponent and get your players sent off. That’s not the only improvement with defending, with a vast improvement in your team mate’s AI. Defenders will position themselves carefully, leaving far less gaps for opponents to exploit whilst offering you a lot more support at the same time. The same can be said for the opposition AI though, lending itself again to the bigger focus on build up play. The computer is much smarter now; it adds to the realism, but those who get their fun from rampaging through an opponent’s defence may want to look elsewhere. Whilst gameplay has seen an overhaul, graphics on the other hand… not so much. FIFA 16 looks very much like FIFA 15. In fact, the aesthetic of the game hasn’t changed up much since FIFA 14. 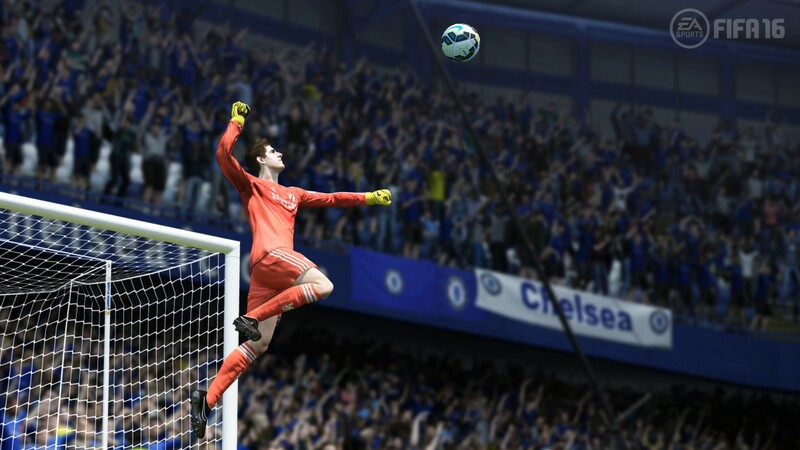 It’s not a bad thing by any means; FIFA 16 looks fantastic. Players are animated superbly and a lot of player’s faces have been perfectly recreated. You’ll even see some minor details with specific star players; Lionel Messi’s tattoos have been perfectly recreated. The same can be said for the stadiums, with locations being perfectly recreated and looking as spectacular as their real life counterparts. Overall, FIFA 16 looks beautiful. The same can be said for the menus and UI; EA have always done a tremendous job with making everything as accessible as possible whilst maintaining a great look. In-match presentation looks great too, offering some improvements with better player and team analysis. Whilst the game looks great it just doesn’t look different from the last two entries in the series. It’s not a flaw though; it’s something fans of annual sporting releases have come to expect and with the game looking as good as it does you don’t really need change. Of course, with the lack of changes in appearance comes a lack of change with the infamous FIFA animation glitches; players will still act bizarrely at times, resulting in some strange, though often hilarious, situations. It’s not game breaking and you may find yourself repeating a replay as one of your players tangles with an opponent in an almost provocative fashion. Such is the hilarity of these glitches is there’s a certain appreciation for them on YouTube; EA could almost consider it a feature these days. A lack of change with graphics isn’t met with a lack of new features – EA have actually introduced some of the biggest new features that the series has seen in years. First and foremost, women’s football is available for the first time in the series. 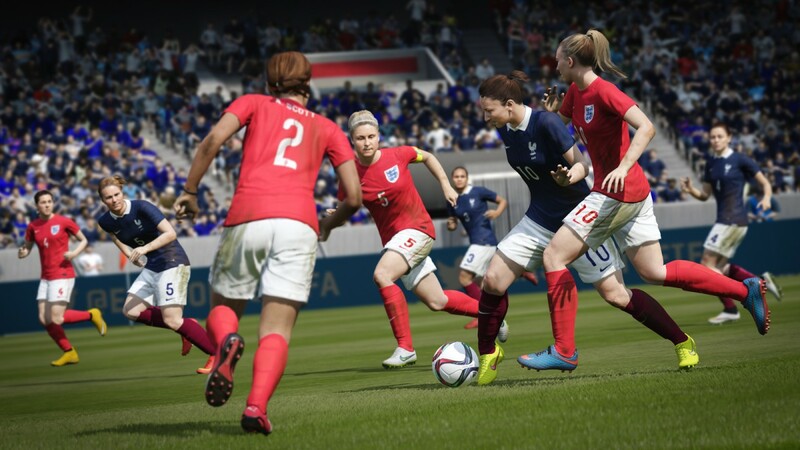 There’s been a surge of popularity with the women’s game over the years and it’s finally being integrated in the biggest football videogame franchise. Whilst it’s limited to twelve international teams and only online and offline tournament game modes, it’s presence alone is a worthy addition. Best of all, it plays completely differently to the men’s game; this isn’t just a re-skin but its own entity. Matches will play out differently, goals will be scored differently; it’s just a whole different experience. It’s a great addition to the series and hopefully something that will be developed further in future releases. Don’t expect to be facing off the women teams against the men though. The other big new feature is the Ultimate Team Draft Mode. Whilst ultimate team has been the most popular feature in FIFA for the last few years, it’s not always been possible to build a team with big names without investing a ton of time (or money). That’s changed this time around with Draft Mode; offering you a pre-set team with a choice of formations, you’re tasked with providing the winning formula that makes the team a success. You’re given the opportunity to use the best players that don’t come around so often in Ultimate Team, offering that more fulfilling experience that most people desire. The downside to this mode? Its monetisation. Draft mode is free for the first go, but requires FIFA points to enter again. Sure, you could grind out wins to earn enough points to play again, but the most viable option is to pay real life cash up front. It’s frustrating more than anything, but monetisation has been in FIFA for awhile now; it’s just a shame it places a wall between the player and one of its most enjoyable game modes. 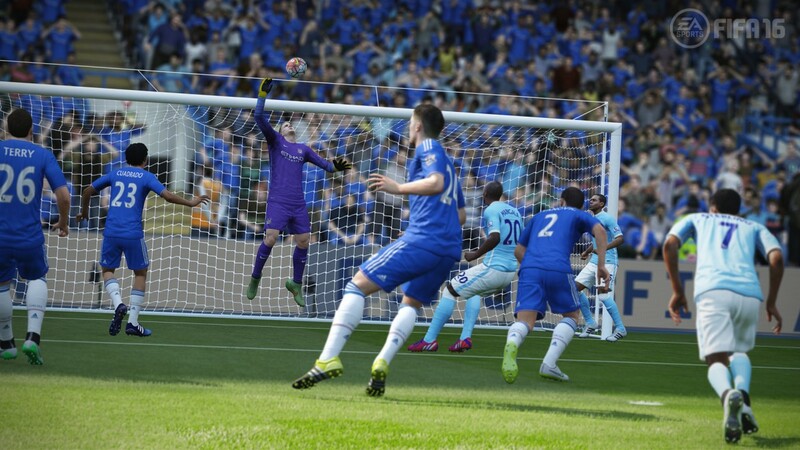 In my opinion, FIFA 16 brings the most radical changes that the series has seen in a long time. There’s the obvious additions like the fantastic women teams and highly enjoyable, though restricted, Ultimate Team Draft mode that offer the game unique new features. The biggest change though is within the core gameplay; I may be playing the same sport as last year’s entry, but it manages to play so differently. Gameplay has seen a big overhaul that is best summed up like marmite – some people are going to love it, others will hate it. For me, it took some getting used to – it’s forced me to play FIFA in a whole new way. After a few hours play though I’ve found that I really enjoy the overhaul; the slower, build-up play focused approach is great. It’s much more satisfying to play and each goal is all the more rewarding. For the first time in awhile, I feel like I’m not just playing a new FIFA but a whole new game. I can appreciate that, though others may not. I think this might be the most divisive entry that the series has seen in awhile, but for me it’s a big thumbs up.